Le thème de la manif. 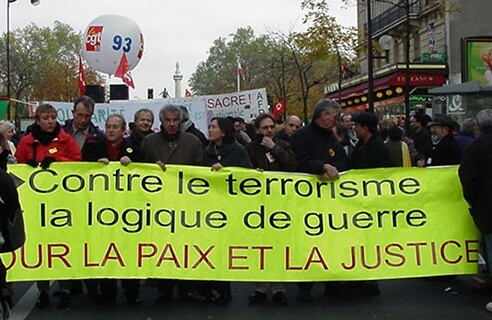 Against terrorism and the logic of war. Le Comité Tchétchénie a son mot à dire. 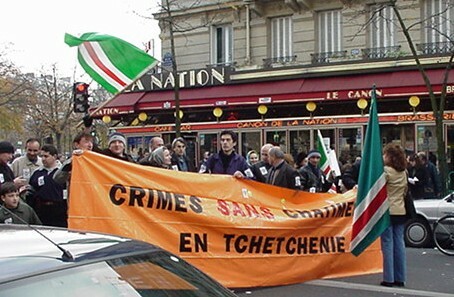 The Chechnya Committee of Paris says No to crime without punishment in Chechnya.